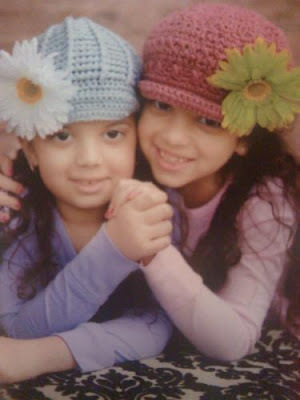 2 New Angels................One Deadly Tumor DIPG!!!!!!!!! Tuesday morning around 11:30 am CST, while Ken was giving Caleb a bath, Caleb drew his last breath on earth and took his first breath in heaven. At that time, Kim was in surgery due to complications from her earlier surgery. She is resting now at Integris Baptist Hospital and is expected to have a full recovery. The Spady family is at peace. They are grateful that everything the tumor took from Caleb has now been restored to him. 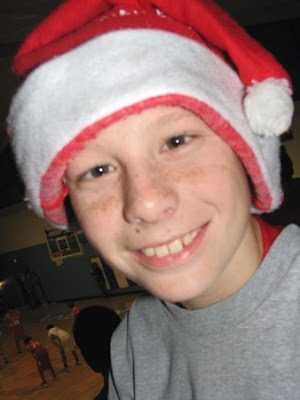 hat has sustained Caleb and his family through these difficult days. Though He should slay me, I'll trust in Him. His way is never wrong. In darkness I will praise His name. He is my Strength and Song. For He knows my fiery trial. He knows the way I take. And He makes no mistake. God sees my ways and counts my steps. He hears my silent cry. My heart is fixed; I trust in Him. I need not ask Him why. My Refuge and High Tower. Shall be my strength this hour. Brianna passed away at 6:12 this morning. She finished the race strong….living up to the meaning of her name and her cross country motto. She was surrounded by her loving sister, parents, and step-parents. We felt from the day of diagnosis that Brianna was here to serve a bigger purpose, especially if God chose her to bear such a heavy cross. If a child cannot live out their dreams and God chooses to call them home, we must know His plan is perfect. She always put others first and even though I told her it is o.k. to be selfish for once in her life…to let go if she wants to be out of pain, she held strong for everyone else. She held strong and allowed her family and friends to come share their love with her and she shared her love and so much more. Though she could not speak, could not move, and struggled to open her eyes for even a second, she would gather the strength to let us know how much she loved us. She wanted to bless us with a few more squeezes of the hands, a few more words, and to show us her beautiful blue eyes a few more times. Though we don’t know all the plans He has for her, we do know she accomplished more in 13 years than most people do in a lifetime. She touched the hearts and inspired so many people, including her parents! Because of Brianna, family relationships have healed, parents and children cherish each other like never before, and people grew in faith. Brianna would want nothing more than for people to be happy, but we hope she served a greater purpose by displaying the hope, faith and love which inspires people to seek out the little miracles and many blessings in every day. She did accomplish her primary goal in life. Especially as Matt, Maria, Bob and I were able to give her what she always wanted…peace in her family. She was not going to leave until we reconciled our relationships. Only hours after she heard it from everyone, she began to let go and she was lifted up! We decided if she cannot live out her own dreams (hairdresser, chef, artist, marriage, kids) we would make at least one dream come true, which was to have her family together with her and at peace. Brianna is lifted up, healed in mind, body, and spirit. She is donning beautiful angel wings, and I imagine is being tugged at by two little boys who are asking her to play with them. God Bless Brianna…her Irish eyes are smiling down on us! May the rains fall soft upon your fields. Alexa Brown continues to hang on and fight for this last few days of her life. Her family is thankful for each extra day they are blessed with. Please pay for a easy transition to Heaven for her. Alyssa Dennewitz is doing amazing! Last MRI, in May CLEAR!!! Her mother has a really strong post on her site right now go read it..
Amber Veale is struggling with her chemo and in and out of the hospital. Annette Maxey is struggling to build back up her body and chemo has been delayed. Ava Beth has done extremely well with her bone marrow rescues..
Avalanna Routh has RELAPSED WITH FEW OPTIONS LEFT.. Her family is obviously heartbroken and she is their only child. Avery Gallagher is enjoying life at home. Bishop Mikaelian just got back from her Make A Wish trip and is due for an MRI this week, prayers needed. Brianna Moore has been having very strong seizures and though the recent MRI was Clear they are still worry some. She has been doing pool therapy and loves it. Caden Safer is doing well and has started on Homeopathic medicine to try and rid is body of his cancer. Caitie Army is struggling with her chemo, prayers please. Caleb Gulizia had his MRI/MRA on July 7 no results yet. Carson Leslie has been accepted at St. Jude for a trial medicine after his family was told there was nothing left for him. Clay Dixon has an MRI coming up and has been experiencing some right sided numbness of his face please pray. Cole Carpenter is considered cancer free. He just had a surgery to remove what was scar tissue!!! Darcy Cassidy is still in the middle of intense treatments but seems to be handling them well. Dasia Atkinson is a MIRACLE and has completely beaten the odds with DIPG. Her tumor continues to be STABLE. 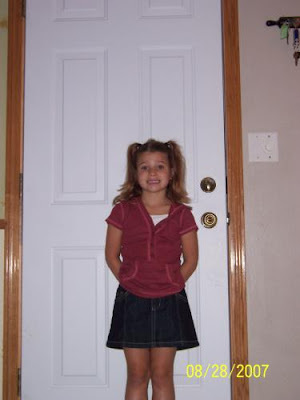 Delaney Starcher is scheduled for her MRI on the 23rd. All the prayers would be helpful as she fights this terminal tumor. Emerson Crane his last MRI showed a decrease in size of tumor!!! YEA!!! Evan Pertile has MRI's today. Please pray for clear scans so he can go home..
Gianna Gillian has been taken off of intravenous feeds and has started eating on her own. Grant Tatro just had clear SCANS!!! Grayson Anderson just had surgery and has had to go 7 days with no food.. Awful. Hailey Ann Trainer is in Florida receiving Proton Beam Radiation. She is doing extremely well and her whole family is there with her. Isaac Chatfield is in the middle of his chemo. 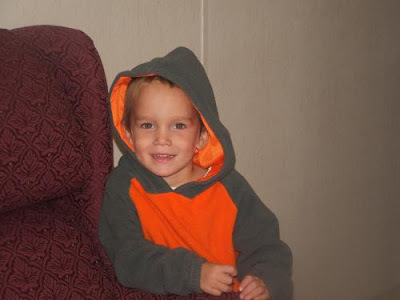 Jake Dambrauskas the miracle boy is struggling with his liver functions. He has become jaundice and doctors are scrambling to try and fix it. Joe Slater is doing so well they just took his central line out!! Jonathan Mullis is in the middle of his chemo. Justin Hutchins is in a hospice type hospital and sadly declining. 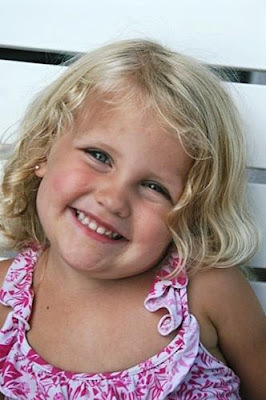 Maryn Nicole Cella, born on October 20th 2005 was diagnosed with an inoperable brain tumor in June, 2009. 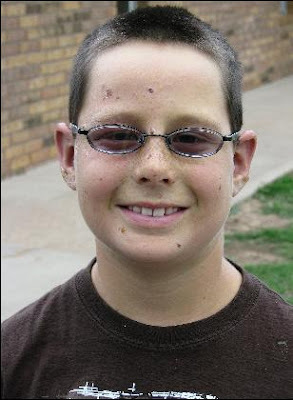 The name of this tumor is "Diffuse Pontine Glioma". 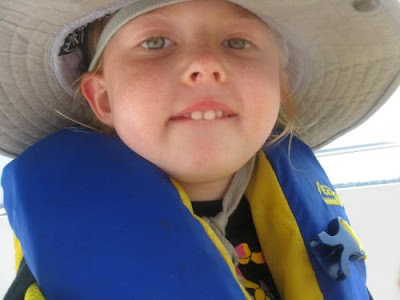 Maryn's parents were told that she would have 9-12 months of life even with radiation therapy. 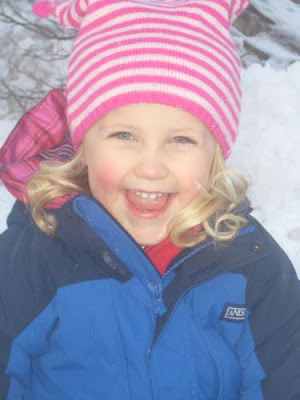 Maryn and her parents are moving mountains to find a miracle and save their sweet angel. They are blessed with a community of generous neighbors, family members and friends willing to pitch in and help in this time of need - and they are thankful to everyone! Maryn is an incredibly brave child. Each day she goes to radiation therapy, she has a smile on her face and enters the radiation room to be sedated with little or no fear. We are amazed at her perseverance and willingness to think of others even when at the hospital. Maryn epitomizes what we should all try to be with the way she is caring for others and putting others concerns first. Maryn loves little stuffed animal toys and to play with her four sisters. Maryn also likes to watch her favorite cartoon called, "Calliou". Maryn loves the color pink and is always wanting to color in her coloring books. Maryn and her Mother have gone "RAW" in hopes of not feeding this terrible tumor. Please go to this site and donate. There is also a link to her mother's blog which gives up to date information on how Maryn is doing. Zac earned his wings this morning. I'm not sure how or what to say. Right now I'm completely numb. Sorry we missed many of you either via phone or visit. Jason and I hadn't slept in quite a while and we crashed this afternoon. I know my little man is up and running, playing baseball, riding Blackie and Babe and playing with Jake right now. It is my own selfishness that misses him so terribly bad. It still does not feel real, it's not happening........Not my little Zac.We were so blessed to have him in our lives. He taught everyone so much. I can not wait until the day I get to see him again. It will seem like forever for me, but only a blink of an eye for him. We are planning on having the services at the Baptist Church in Fulton next to the Library. We are thinking Sunday afternoon/evening for the visitation and Monday morning for the service. As soon as we have more information we will let you know.Please keep all the other families in your thoughts and prayers tonight. I know there are a lot of hurting families as our DIPG group has lost so many children the past 11 days. I'm so thankful for the great friends and family. We want to thank my mom, Jenny, Jill, and Jim for being here with us this morning. Zac was surrounded by his Moms, Grandma and Daddy Jason when he went, God took care of him and he went quick and peacefully. Today Ravyn Finch earned her angel wings, now she flies around with Jesus and freinds .She was so sweet and fought this battle as long as she could. This sweet child touched everyone she met . My faimly and freinds are going to miss her and love her very much Big sister VanessaWe are going too miss Ravyn verry much,but i can see her now doing kartwheels and flying with jesus and our other loved ones.she touched each and every one of our hearts.I LOVE YOU RAVYN!! We are going too miss Ravyn verry much,but i can see her now doing kartwheels and flying with jesus and our other loved ones.she touched each and every one of our hearts.I LOVE YOU RAVYN!! PLEASE GO TO HER SITE AND LEAVE SOME CONDOLENCES. Everyone always asks me, "Aren't there any children that live? That do okay?" Yes there are but it is really difficult. If they are lucky enough to survive and be considered NED or No Evidence of Desease, the relapse rates are very, VERY HIGH. There are some children who just touch your heart. I have found this to be the case with several of these children. I talk via email to their parents we pray constantly for all of them and when they get bad news I feel it also. When Sadie died I was heartbroken, in fact I still am. I could care less about the FREAK Michael Jackson, but a beautiful girl with such a pure soul went to Heaven that day and to me, that is more important. There have been a lot of new children diagnosed in the last week, I can count 6 children. I will feature each child on here for everyone to help support. One day at a time though. We truly thought that the worst of Avalannas illness was behind us. We had an MRI yesterday and we are heartbroken. We woke up yesterday morning, hoping and praying for a clear MRI. We felt that if everything looked good yesterday, we would be fine forever. The MRI was bad - Avalannas cancer is back - in the brain. We are devastated. The doctors are surprised and so saddened as Avalanna looks and acts fabulous. There are not too many options left - the doctors are not optimistic that we can treat this. We have meetings on Tuesday to discuss options but we need a miracle now. This is hell on earth - I thought this nightmare was over - it has only begun. We had many discussions / meetings in Boston today - each one more difficult than the one previous to it. We are now waiting until Wednesday to do the further tests and by Friday, we should have some plan in place. The tests on Wednesday are very important. At this point, confidence is very low that Avalanna can be cured. But good results from tests this week, may give us some handle on what we are dealing with. Simply, we need a miracle. We need prayers to all the angels and saints. Another dear friend, whose daughter, Brigid, has also relapsed told me that Mother Tereasa needs two more miracles to become a Saint. Lets pray that Mother Teresa use her powers to cure Avalanna and Brigid. I dreaded the possibility of a relapse. I thought about it but I really felt that we had beaten the odds. This is devastating. No words can describe how we feel. 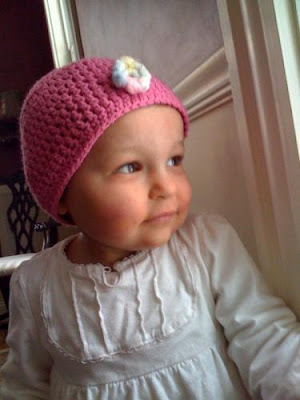 Nothing in life matters - without Avalanna...........nothing makes sense. Love Aileen, Cameron & Avalanna. Monday June 29th began like every other day, and ended like one we could have never imagined. Our daughter Kate was taken to the dr. for tremors in her right hand. 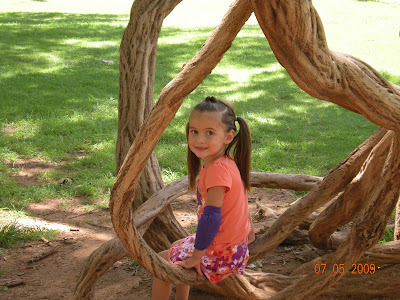 We proceeded to Phoenix Childrens Hospital for a stat CT of her head. At 5:30 I, Holly, Kate's mom, was taken into a room alone and told Kate had a massive tumor on the basil ganglia portion of her brain. I called her dad and our journey has begun. One we never would have chose to be a part of, but was chosen for us, and our sweet Kate. 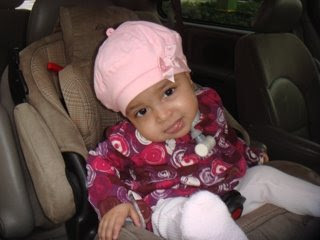 She is now in the Phoneix Childrens ICU awaiting tests to determine what it is and how far progressed. Please, our dear daughter needs your prayers, as do we, Aaron, Holly, Olivia and Will. Do you know those days where your kids are endlessly calling "mommy"? I have had many of those in the past. My kids are 6 (she will be 7 in 2 weeks), 5 and 4. There were many times I would say "okay no one can call me mommy for 10 minutes, I just need quiet!". How many times did I complain about how it seemed like they were always pooping and I was always wiping. How I loved those days where I could lazily stay in my pjs and not wear any makeup. One word can change all of that. Cancer. Now I beg for my daughter to say mommy, just once, just for something for me to hang onto. I don't care if she screams it, slurs it, anything, just say mommy. Kate finally pooped today, in the bed (of which I was sharing with her). I was so excited to clean her up. She pooped! I kept telling her how proud I was of her. Now I rejoice that she poops, the surgery didn't effect that. As far as pajamas go, people here in the PICU might believe that it's possible I don't own any clothes. I would love to get out of pajamas. Just don't feel the need most days. Things change quickly and forever. We can never go back. We can never again be pre-cancer days. Our lives are forever altered. Just pray we can have post cancer days. Lives after God's healing. I want it so badly for my baby. So badly for me. So badly for Aaron. So badly for Olivia and Will.Not sure what tomorrow holds. Possibly another MRI, I hope not. They are going to do another one to make sure the bleeding has stopped and see if the swelling has gone down.. (at least that is what I understood, but I don't hear a lot these days). If she has the MRI again that means more sedation and more intubation. AHHH! Please pray for Tuesday, I am absolutely dreading getting the pathology report back. I know most would think at least then you can move forward, come up with a plan. But the word, the diagnosis, one more layer of innocence torn away. Then it will be studying and hearing facts and statistics and prognoses. I don't want to.Kate is crying. I need to help her. She is trying to say a word, but can't pronounce it. Help us God. Help my daughter! Heal her body, every single cell. Preserve her spirit. Help her fight. Give her rest. "Angel on Earth, Angel in Heaven" from Tiffany Huish on Vimeo. Sadie has changed so many peoples lives in her short five years. I just think there is no was to understand why things like this happen but someday we will all have perfect knowledge. In the meantime we will cling to faith and our promise that "FAMILIES ARE FOREVER!!!"